MADERA COUNTY (KFSN) -- A construction worker on the High Speed Rail project was injured on the job in Madera County. 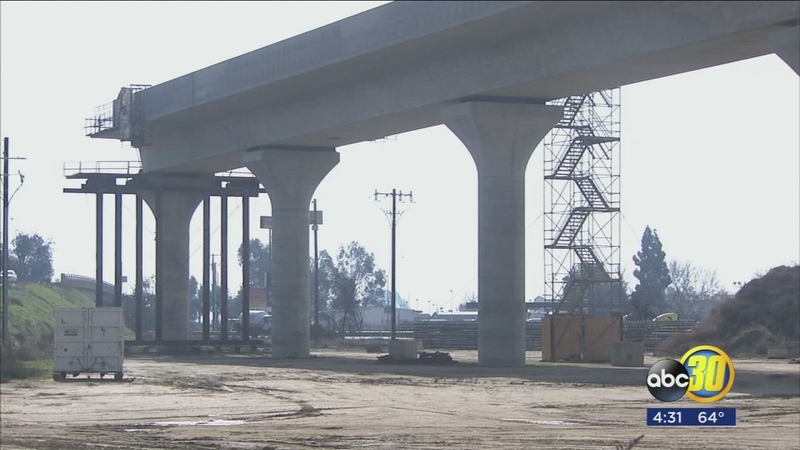 According to the Public Information Officer for the California High-Speed Rail Authority, Toni Tinoco, the worker was injured at the Avenue 7 construction site. As of last night, the worker was still being treated at an area hospital. Tinoco said. "Safety remains the top priority for the California High-Speed Rail program and at all construction sites that are underway throughout the Central Valley." Officials say construction has resumed at the site.